It’s September, our last month in Rhode Island. We just celebrated Labor Day, the weather is already feeling cooler and we’re beginning to plan our trip south. But first we’ll reminisce about our first summer aboard our Floating Home. 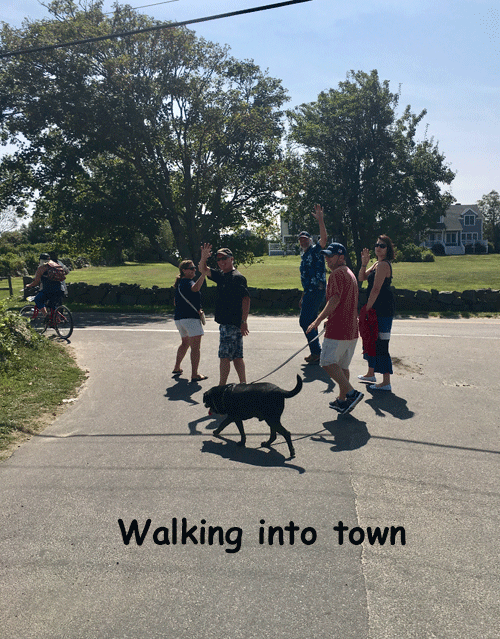 We had hopes of visiting more places in New England, such as Martha’s Vineyard, Cape Cod, Block Island and Newport. We made it to quite a few of them, but Jim and I are already planning to return next summer to see more New England seaside sights. 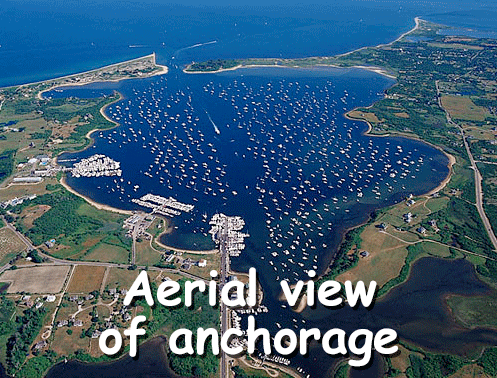 We chatted with the local boaters we were meeting here at the marina to learn about the best anchorages in this area. One of our first outings was to Potter Cove which was tucked in the west side of Prudence Island. 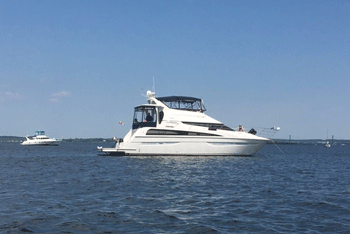 This destination was fairly close by and rather popular with others boaters. It was fascinating to drop anchor and spend an afternoon relaxing beside this lightly populated island that can only be reached by boat! We then we found a quiet spot across from Bristol called Usher Cove. It was out of the way enough that we were rarely rocked by a wake of a nother boat, yet we could enjoy watching a variety of boats on the water. We rather liked this spot, and never understood why there weren’t many other boats there. One Sunday afternoon we headed south and met up with a couple of Jim’s cousins in their boats just a little south of the quaint town of Wickford, Rhode Island. We anchored in a cove between an island and the mainland. The small island, named Fox Island, had just one house and a dock. It appears that the house is vacant now, but what a wonderful getaway that would be! However, our favorite trip this summer was the day we went to Block Island. The sun was shining, the sky was blue and the water was calm. Jim’s cousin Doug, an experienced boater, and his daughter Tori met us at the boat before 8:00 am. A little later David (another cousin) and his wife Debbie arrived and it was time to cast o ff. 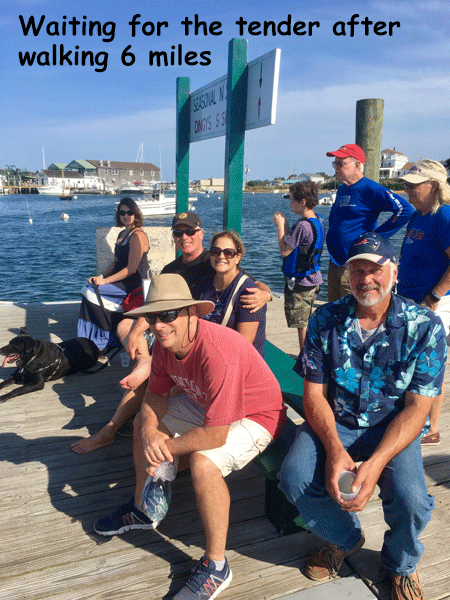 Doug navigated as Captain Jim took us out of Narragansett Bay to Block Island Sound. Block Island is 20 miles off the coast of Rhode Island, and we thought we’d lose sight of land for the first time. But it was such a clear day that we could always see either the coast of the mainland and the island. In less than 2 hours we were heading into the harbor and radioing to the harbor master to get a mooring ball. The harbor was full of boats, but there was a mooring available for us. Dave reached down with the boat hook to reach the line, while I offered moral support! This was the first time we’d ever moored the boat, and we were pleased to see how simple it was to do! Thank you, Dave! The harbor master was soon beside the boat to check us in and collect $25 mooring fee for the day. We found out we could get a tender/water taxi to land, relieving us from dealing with multiple trips in our dinghy. Once on land we took about a 20-minute walk to a restaurant where we enjoyed lunch outside on a lawn (we had Blue with us) overlooking the water. After an amazing lunch, we walked about a mile or so into town, with shops and where the ferries landed. Off we went, 6 people and a big, black dog in tow. Before too long we’d passed the first of many little shops. Tori was lured in and spent time looking at the unique clothes and accessories. Our crew began to spread out over the town, in shops and on benches chatting with other tourists. Jim purchased a new hat to protect him from the sun. Before leaving we all enjoyed some fudge and ice cream! We then began the trek back to New Harbor, where the boat was moored. 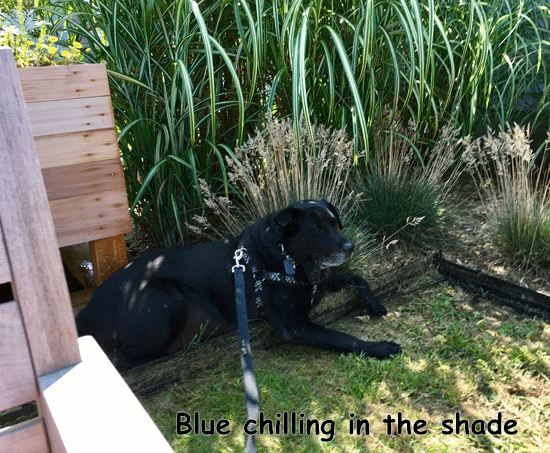 We were all getting tired, but Blue was having the hardest time of all. He’d had some water from bowls that store owners had outside their shops, but by the time we’d reached the dock his tongue was just about dragging on the ground. Debbie saved the day by going to a restaurant and coming out with 2 huge plastic cups of water! We took the tender back to the boat and fixed some sandwiches. Then Jim powered up the boat and we headed out of the harbor and back to the mainland. The scenic ride back to our home port was just as smooth as the ride out to the island. We pulled into our slip before the sun went down. It felt like the most perfect day! 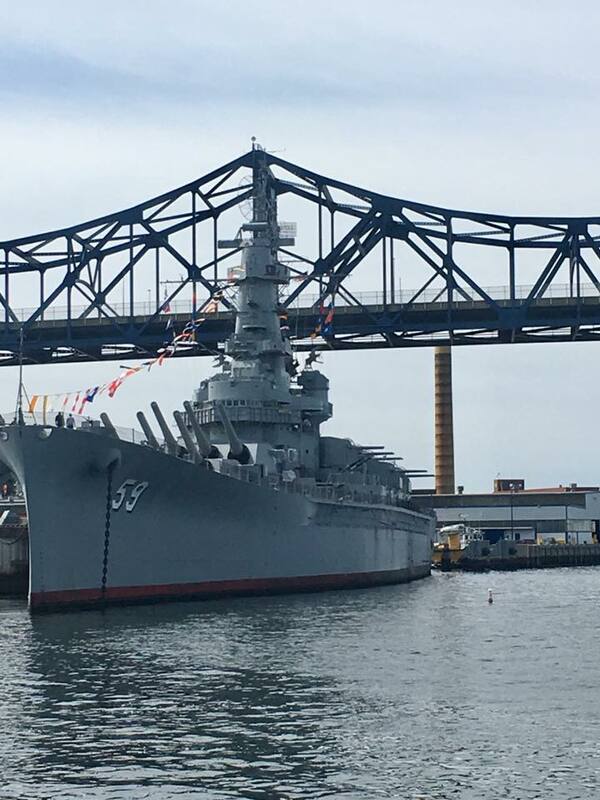 This past weekend we took our Floating Home to Fall River, Massachusetts to see the retired war ship, USS Massachusetts. It is very different seeing these floating museums from the water! 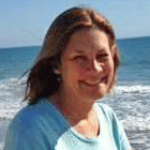 Just discovered your blog and am looking forward to going back and reading prior posts! 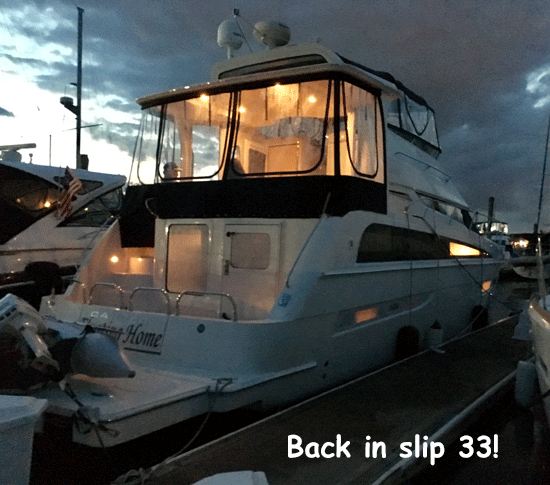 We’re 2nd season owners of a “new to us” 1999 Carver Voyager 53. We spent 10 days straight on her in the north channel this summer and loved it! The Carvers are amazing as far as livability.